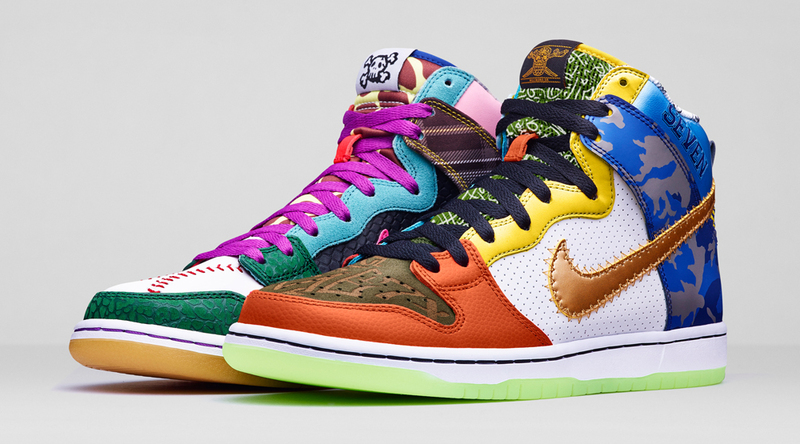 "What the" Nike sneakers just got taken to a new level with this "What the Doernbecher" Dunk. 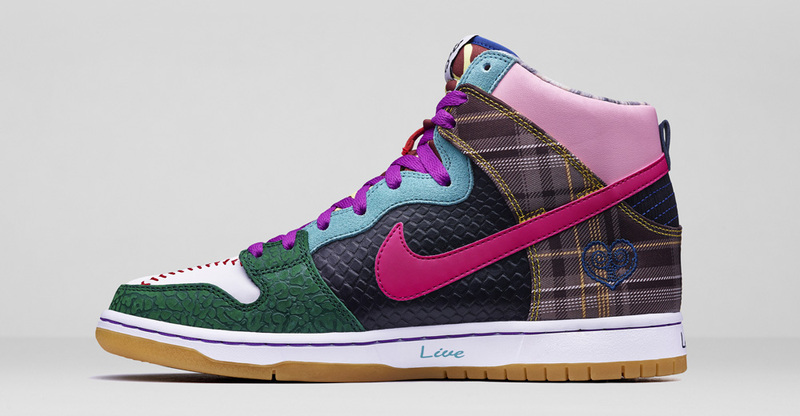 The sneaker is the first one to be unveiled from the 2015 Doernbecher x Nike Freestyle collection. 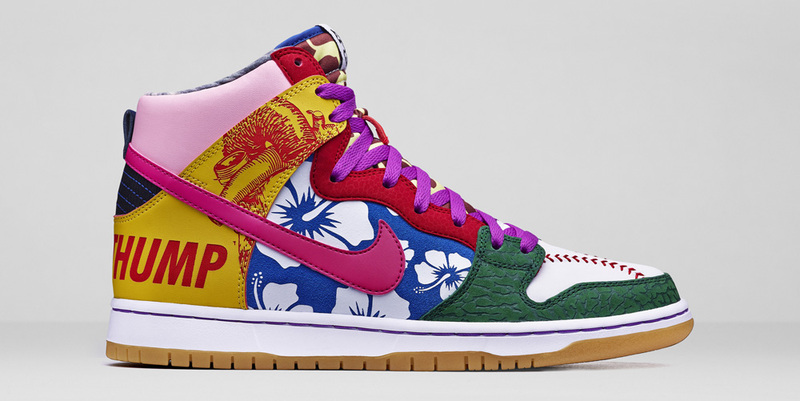 The wild design celebrates the eleventh year of the program with an eleven pair run – each of which will be available exclusively via charity auction. 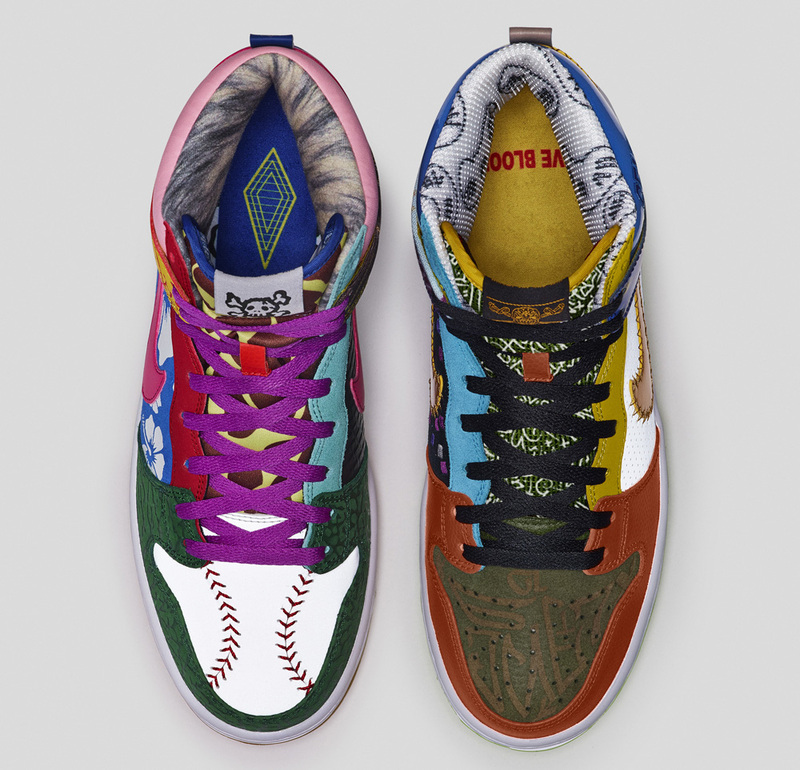 There will be one of each size from 8-12, and a 13 and 14. 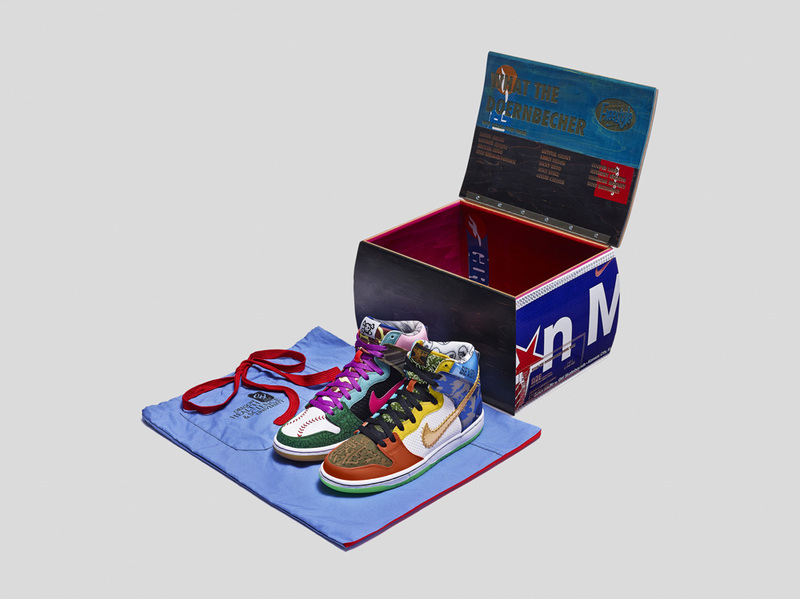 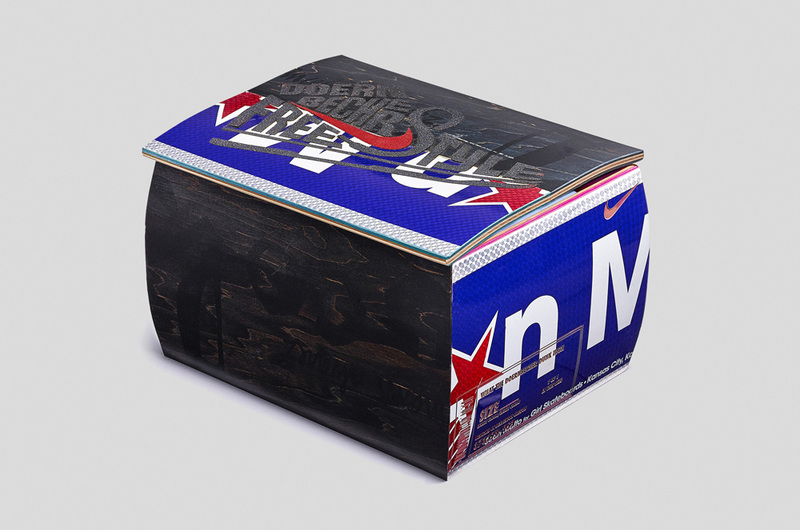 The premium packaging includes a set of scrubs from the staff at the Doernbecher Children's Hospital and a box made of recycled skate decks. 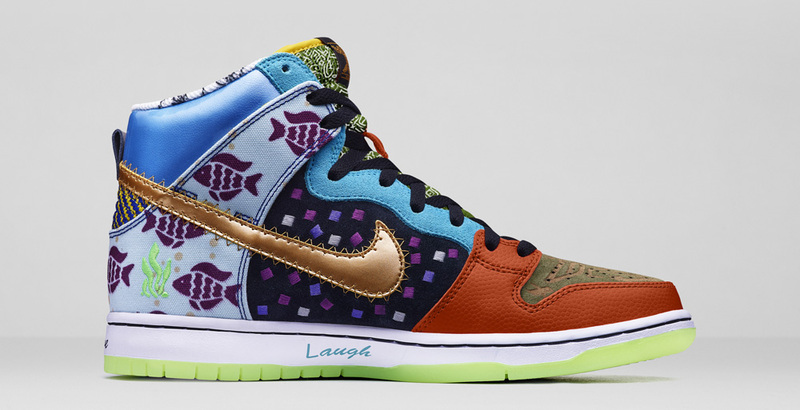 The design here riffs off the 13 different Nike SB Doernbecher sneakers that have released over the years, pulling design cues from each of them. 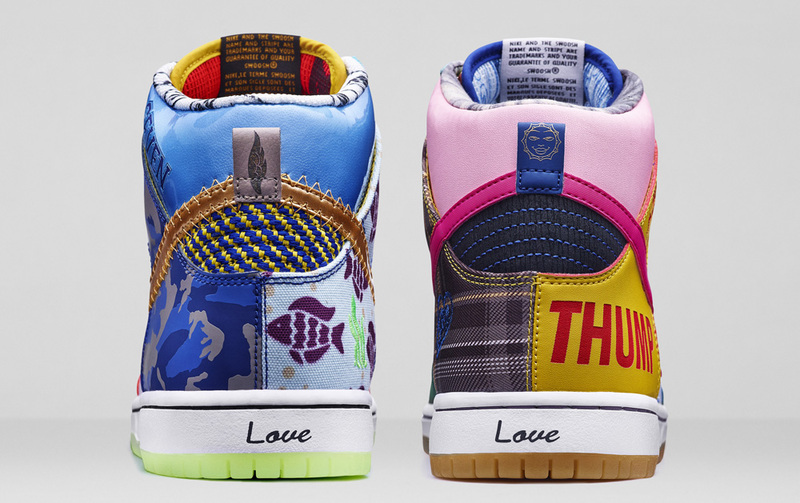 The "What the Doernbecher" Dunk charity auctions will begin on eBay on June 11 and run for ten days. 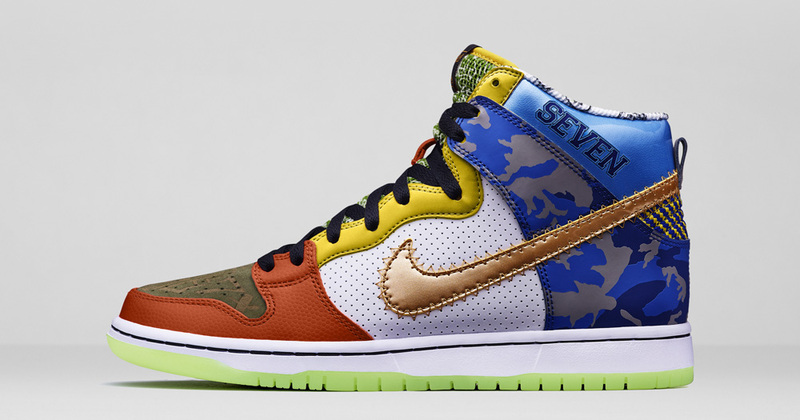 All proceeds from the sale of the sneakers will benefit the Doernbecher Children's Hospital.